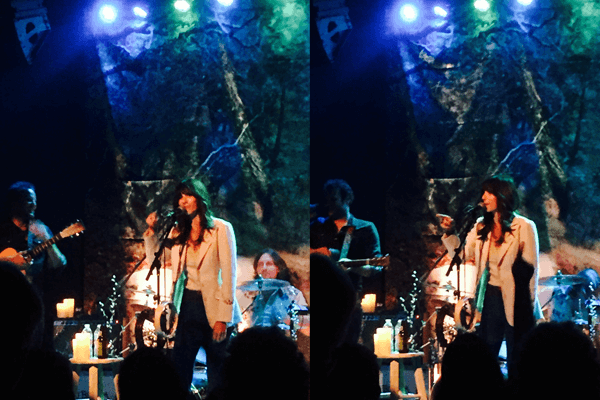 Nicki Bluhm & The Gramblers played Reverb Lounge on August 17. They are touring in support of their newest album, Loved Wild Lost. Loved Wild Lost, which follows the Bay Area-based band’s eponymous 2013 debut, was produced by Brian Deck (Iron & Wine, Modest Mouse, Josh Ritter). It’s their first time working with an outside collaborator and the result is their most compelling collection of songs to date. The richly layered sound forms the ideal foundation for Bluhm’s soaring vocals and increasingly powerful songcraft. Further color comes from San Francisco’s Magik*Magik Orchestra (Death Cab for Cutie, Nick Cave & The Bad Seeds, The Walkmen), whose complex arrangements serve to amplify the indelibly universal themes of Loved Wild Lost.